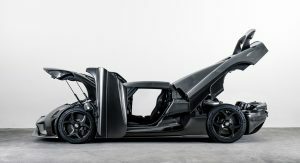 The Koenigsegg Regera reached sell out status in the summer of 2017, but the company has finally built its first model with a so-called “naked carbon” exterior. 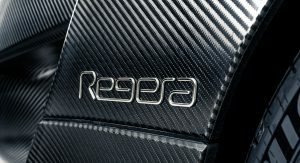 Koenigsegg says the finish gives the Regera a striking new look as the car has a “more metallic graphite appearance as each graphite strand is now fully exposed.” The company also noted the car is now cold to the touch as people will feel pure carbon fiber instead of an insulating layer of epoxy or lacquer. 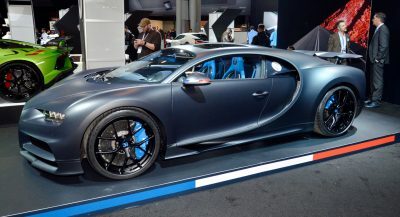 Despite sounding rather delicate, the naked carbon exterior can stand up to the elements. 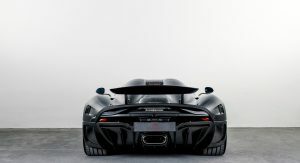 As Koenigsegg explained, they subjected several samples to the sun and heat of summer as well as the cold and wet of winter. The samples were kept outside for several years and this didn’t affect their appearance. 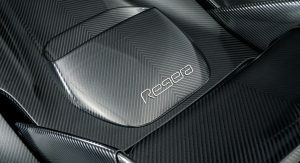 As a result, the company felt confident enough in the naked carbon finish to use it on a full car. 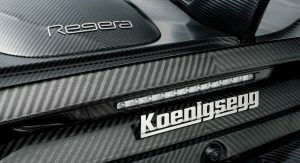 While the model doesn’t have a protective layer of epoxy, Koenigsegg says this actually benefits the Regera as the car is “much less sensitive to stone chips and sharp objects causing scratches.” The lack of material also helps to Regera to weigh approximately 44 lbs (20 kg) less than a model that has been painted. 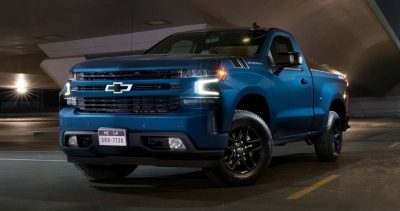 So, It Does come in Black.. 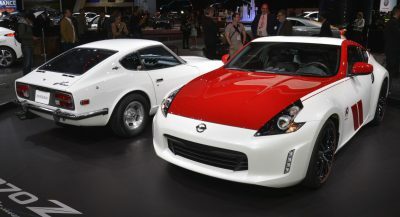 NICE!! It SHOULD be a crime to cover that skin in lacquer/varnish/coating/paint! This thing makes my nature rise. 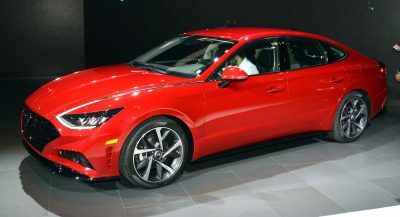 Great spec on this, wish there was more pics..
Beautiful, can’t wait to see what this company comes out with next. 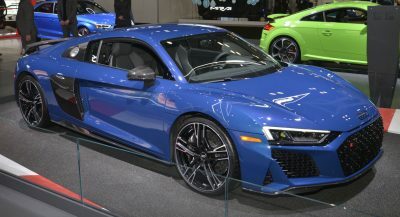 Corvette team, McLaren and others take note, this is what a beautiful mid-engine car can look like.